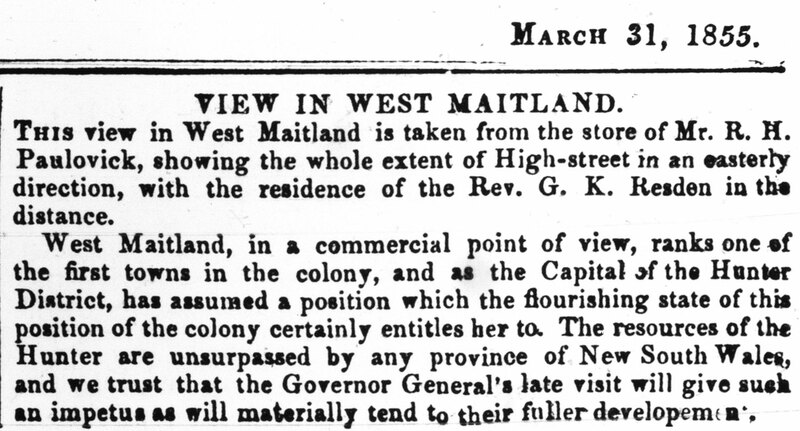 This view in West Maitland is taken from the store of Mr. R. H. Paulovick, showing the whole extent of High-street in an easterly direction, with the residence of the Rev. G.K. Resden (sic) in the distance. 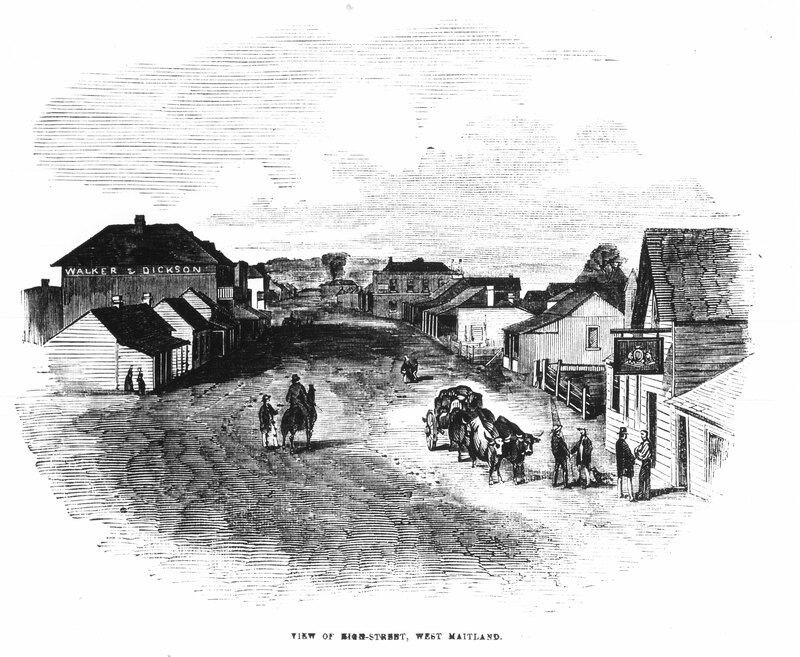 West Maitland, in a commercial point of view, ranks one of the first towns in the colony, and as the Capital of the Hunter District, has assumed a position which the flourishing state of this position of the colony certainly entitles her to. The resources of the Hunter are unsurpassed by any province of New South Wales, and we trust that the Governor General’s late visit will give such an impetus as will materially tend to their fuller development.